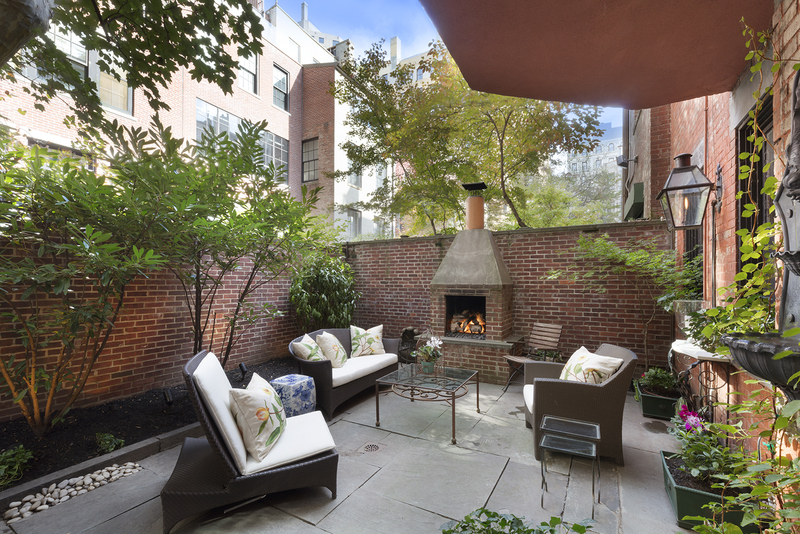 Just off Central Park and along the coveted stretch of Fifth Avenue's Museum Mile, this private, landscaped garden oasis is located in the heart of Carnegie Hill. Two thoughtfully combined garden level apartments create a floor-through home with multiple uses, including a 2-bedroom, 2-bathroom or a 1-bedroom with a separate, spacious parlour room with an optional private entrance, ideal for recreational or home office use. The spacious entry foyer boasts several closets, including an ultra-deep cedar closet, a coat closet and a closet with an office desk tucked away inside. Enjoy your wood-burning fireplace with optional al fresco dining in your spacious sunken living room. Original sculpted glass doors, reclaimed from the Plaza Hotel, lead to your private landscaped garden, lit with historic gas Bevolo copper lanterns and a warmed by the hearth of your outdoor gas fireplace. The kitchen is complete with custom, ceiling high built-in cabinets and Liebherr and Malber appliances and both bathrooms feature WaterWorks and Toto fixtures and iconic subway tile finishes. This expansive pre-war home features southern and northern exposures, bay windows with built-in seating, a private storage area and an in-home washer/dryer. 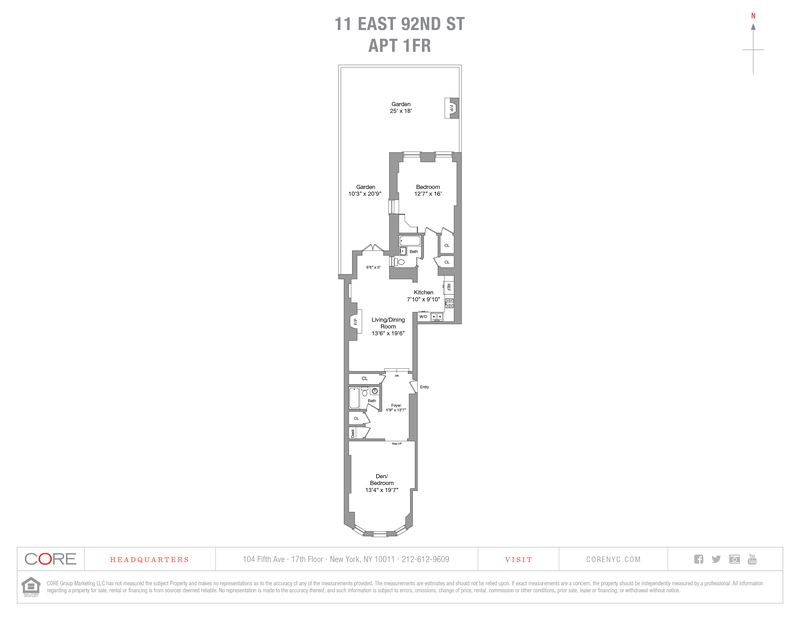 With only five apartments, this one-of-a-kind townhome is in close proximity to the Guggenheim Museum, Cooper Hewitt Smithsonian Design Museum, the Jackie Onassis Reservoir, Shuman running track and the 4/5/6 Subway lines.